(Optional) Which Branch or Associate would you like to work with on this application? • I am applying for a Home Equity Loan/Line of Credit from First Financial Bank, Cincinnati, Ohio (the Bank). • The information I provided in this application is true and complete to the best of my knowledge. • I authorize the Bank to obtain a consumer credit report on me from consumer reporting agencies for any legal purpose, including any update, extension of credit, review or collection of my account, and to investigate any reference I listed in this Application. • I acknowledge that my name, address and signature on this Application will constitute my name, address and signature on the Terms and Conditions governing my account if approved. IMPORTANT INFORMATION ABOUT PROCEDURES FOR OPENING A NEW ACCOUNT: The USA PATRIOT Act has paved the way for financial institutions to help fight the funding of terrorism and money laundering activities. Federal law requires all financial institutions to obtain, verify, and record information that identifies each person who opens an account. What this means for you is that when you open an account, we will ask for your name, address, date of birth, and other information that will allow us to identify you. 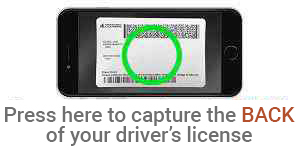 We will also ask to see your driver’s license or other identifying documents. Your cooperation is appreciated when you open a new account or request a loan.